University of Connecticut, Storrs-Mansfield, B.S. Brenda Anderson is on the faculty at The Heller School for Social Policy and Management and the International Business School at Brandeis University. She also teaches physician leaders in numerous Brandeis executive education programs. Brenda has taught at the University of New South Wales, Sydney, Northeastern University, and Boston University. 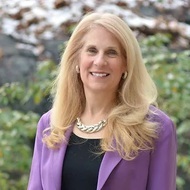 Prior to entering academia, Brenda worked as an auditor for KPMG Peat Marwick and is a Certified Public Accountant in the state of Connecticut. Her research focuses primarily on behavioral issues in accounting, with an emphasis on the human information processing aspects of professional auditor judgment. Professor Anderson has received research grants from organizations such as the National Science Foundation and the Ernst & Young Foundation. She has published in journals that include The International Journal of Auditing; Auditing: A Journal of Practice and Theory; Behavioral Research in Accounting; and the Journal of the American Taxation Association. Anderson, Brenda, Moreno, K. and Maletta, M.. "A Comprehensive Set of Financial Accounting Review Exercises: An Effect to Cause Approach." Advances in Accounting Education 14. (2014): 17-44. Anderson, Brenda and Maletta, M.. "Primacy Effects and the Role of Risk on Auditor Belief-Revision Processes." Auditing: A Journal of Practice and Theory Spring (1999): 75-89. Anderson, Brenda, Angelini, J. and Maletta, M.. "Instruction, Experience and Initial Knowledge Acquisition: A Study in Taxation." Journal of Accounting Education 17. (1999): 351-366. Anderson, Brenda, Wright, A. and Maletta, M.. "Perceptions of Auditor Failure: Views of Judges and Auditors." International Journal of Auditing Fall (1998): 215-232. Maroney, J., Rupert T., and Anderson, Brenda. "Taxpayers' Perceptions of Tax Provision Fairness." Journal of the American Taxation Association (1998): 60-77. Anderson, Brenda and Maletta, M.. "Auditor Attendance to Negative and Positive Information: The Effect of Experience Related Differences." Behavioral Research in Accounting 6. (1994): 1-20.